Benito Mussolini, the dictator who ruled Italy for 21 years until he was deposed in 1943, was killed by Italian partisans on this day in 1945, at the village of Giulino di Mezzegra on the shore of Lake Como. 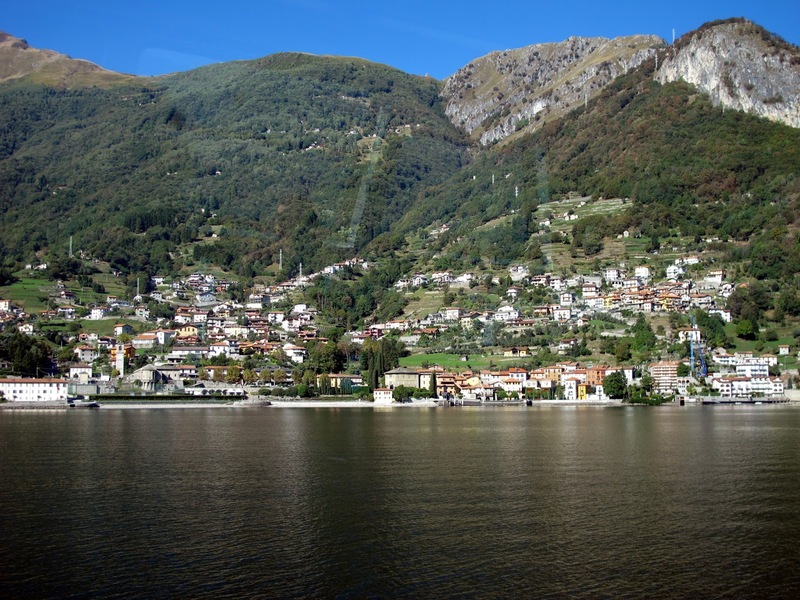 The 61-year-old leader of the National Fascist Party had been captured the previous day in the town of Dongo, further up the lake, as he attempted to reach Switzerland along with his mistress, Clara Petacci, and a number of Fascist officials. With Nazi Germany on the brink of defeat, Mussolini had been planning to board a plane in Switzerland in order to fly to Spain. Mussolini was said to have donned a Luftwaffe helmet and overcoat in the hope that he would not be recognised but the disguise did not work. Fearing that the Germans would try to free him, as they had two years earlier when Italy's King Victor Emmanuel III placed him under house arrest in mountainous Abruzzo, the partisans hid Mussolini and the others in a remote farmhouse. The following morning, along the coast of the lake at Mezzegra, their captives were stood against a wall and shot dead. The executions were said to have been carried out by a partisan who went under the name of Colonello Valerio. A communist politician, Walter Audisio, later claimed he was Colonello Valerio. From Mezzegra the bodies were taken in a van to Milan, where they were dumped in what used to be called Piazzale Loreto, a square with symbolic significance. Later renamed Piazza Quindici Martiri, it had been the place at which Fascist militia had displayed the bodies of 15 murdered Italian partisans a year earlier. 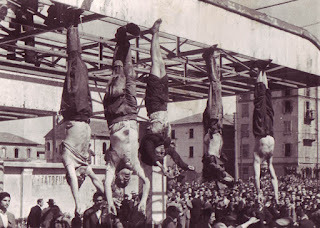 Famously, after being kicked, beaten and spat upon by a mob of angry Milanese citizens, the bodies of Mussolini, Petacci and others were hung upside down from the roof of an Esso petrol station. American troops removed the bodies later in the day and they were transferred to the city mortuary. 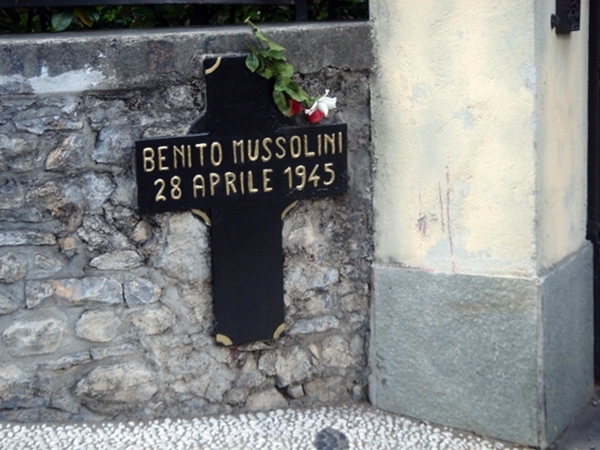 Mussolini's corpse was buried in an unmarked grave in a Milan cemetery only to be stolen by fanatics claiming allegiance to the Fascist cause. Once the authorities recovered the body, its location was kept secret for more than a decade. Eventually, in 1957, prime minister Adone Zoli arranged for it to be returned to Mussolini's birthplace in Predappio, just outside Forlì in Emilia-Romagna, where it remains today, buried in the family crypt at a cemetery just outside the town. Mussolini's attempted escape to Switzerland was his last desperate act. After he was liberated by the Germans in 1943, he had been placed in charge of an area of northern Italy that became known as the Republic of Salò, with its administrative base in the town on Lake Garda of that name. He decided to flee when it became clear that the Allied invasion of the Italian peninsula from the south would not be halted. He had been told that the Germans were preparing to surrender. Indeed, two days after Mussolini was killed, Adolf Hitler committed suicide in his bunker in Berlin. 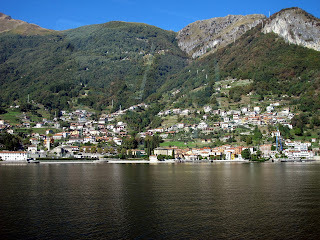 Dongo is one of many picturesque towns along the shore of Lake Como, with a number of hotels, restaurants and shops. It is very popular during the summer months and also attracts walkers, who can explore nearby mountain villages on foot. Dongo has a small harbour adjoining the town's main square, where one can find the Palazzo Manzi, built in 1803 and now Dongo's town hall. The ground floor houses the Museum of the End of the War, refurbished in 2014, dedicated to the partisans and in particular to the capture of Mussolini. Predappio, a modest rural town about 18 kilometres south of Forlì, has become a site of pilgrimage for neo-Fascists from Italy and other parts of Europe. Although some residents would prefer not to be reminded of its association with such a dark period in Italian history, there are echoes of the Fascist era in a number of buildings constructed in characteristic style after a landslide in 1924, when the national government wanted Predappio to be celebrated as Il Duce's birthplace. Tacky Fascist souvenirs are still sold in some shops despite previous moves to ban them. In 2014, the local mayor announced plans for a museum dedicated to the history of Fascism, not to celebrate the Mussolini era but as a place of reflection.